Japanese Woodblock Print or Ukiyo-e, is a traditional Japanese art form that dates back over 300 years. 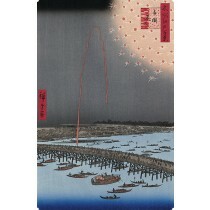 Hiroshige, Hokusai & Utamaro are the most well known artists. It is regarded as one of Japan most prestigious art for its beauty & craftsmanship.